The history of Loubressac, from antiquity to the Middle Ages was marked by wars. Over the course of the centuries, the inhabitants are refugees on a rocky promontory overlooking the valley of the Cere and Dordogne. Around the castle, balanced on top of a cliff, rock houses include traditional limestone Quercy. Walking through the flowery streets, including one visit a fortified gate, castle or church encofre St John the Baptist. 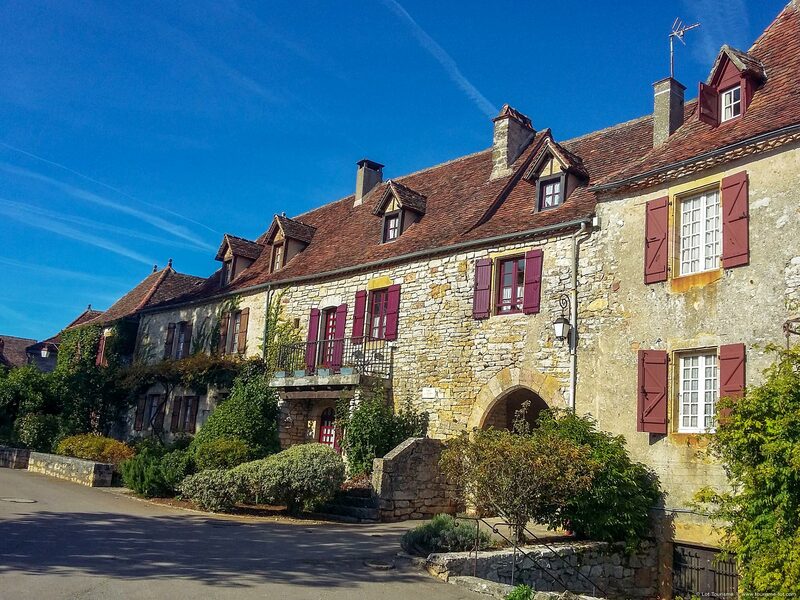 Farm of Siran in Loubressac, READ MORE HERE.